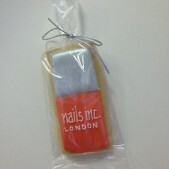 Make sure your company event is a tasty one with custom cookies by Cakes by Robin. 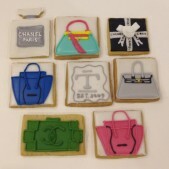 We can design and create unique branded cookies for company celebrations of all types from anniversaries, team building events, Christmas corporate hampers, company fundraisers and much more. 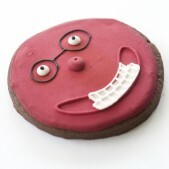 Let your customers know you care about them whilst simultaneously reinforcing your branding and reputation with unique custom made biscuits. No matter the size of your event we would be happy to talk to you about how Cakes by Robin can create the ideal sweet treat for your event or celebration. 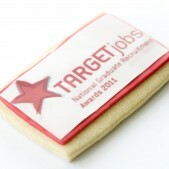 Corporate cookies are a cheerful and popular way to mark an important event and they can be designed to reflect your company colours, logo, emblem or theme. 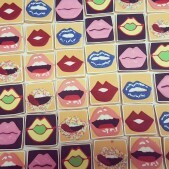 We are happy to accommodate orders of all sizes.